Every year at Christmas time, it seems our toy collection just triples! Every year I ask myself, where are we going to put them all!? So, while I still love shopping for toys, I also love finding fun new gifts that my kids will love that AREN'T toys. I look for gifts that are both practical but still fun. Things such as blankets, cool pillow and even lights. My oldest son is a bit afraid of the dark, so nightlights are a must in my house. But we don't want boring old nightlights, we want something fun that adds a little something special to the room. 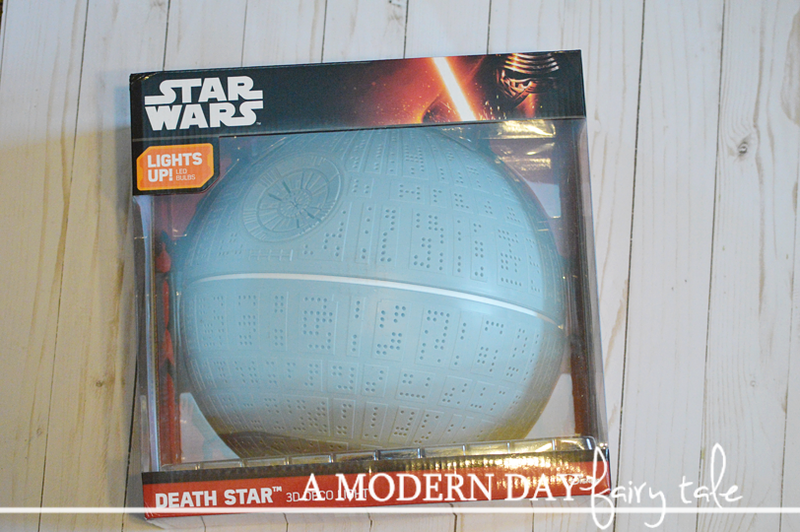 What could do that for the Star Wars fan than the Death Star coming straight out of the wall!? This light truly is amazing. 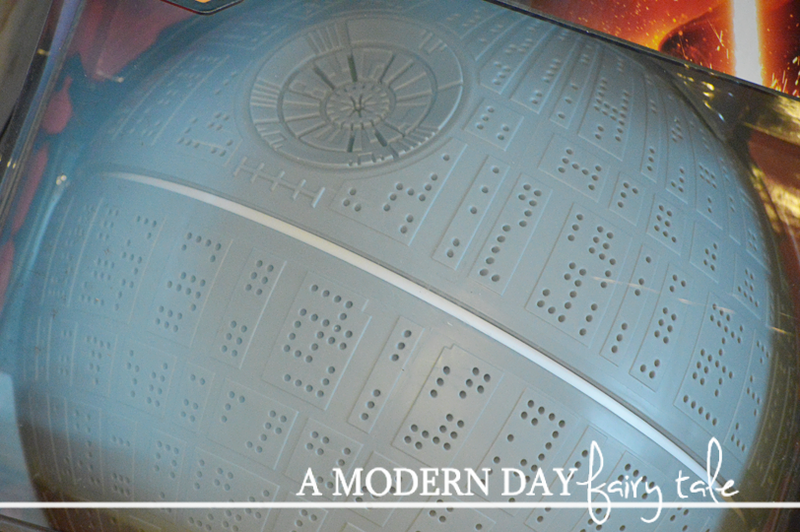 The details on the Death Star are fantastic, down to the last one. It truly does look like the real deal (on a much scaled down level of course). The included crack sticker helps eeven more to give that illusion that this famed ship has just crashed through the bedroom wall! How fun is that!? It's also cool to the touch, cordless, and battery operated so you don't have to worry about visible wires to trip over or your little one burning themselves when they inevitably want to get a closer look. It may not be a toy, but it is every bit as much fun! Not a Star Wars fan? There are many styles to choose from to best suit your little one's tastes! This is truly one non-toy gift that EVERY child would love to unwrap Christmas morning! Want to check them out for yourself? They are available to purchase now at your local Target, or Target online. Omgosh these are so fun!! My son needs ones I think!! He would love Rubble or the Hulk hand!! Love that there's no cords! The 3D Light FX My Little Pony Pinkie Pie Nightlight would be a big hit in our family! Pink is always a sure thing these days! They make some really fun night lights. My nephew would like this one.